Dr. Gershon is a professor in the Department of Epidemiology and Biostatistics and in the Philip R. Lee Institute for Health Policy Studies at the University of California, San Francisco’s School of Medicine. She is also an adjunct professor for the UCSF School of Nursing, in the departments of community health systems, occupational and environmental health, and the center for occupational and environmental health. Prior to this appointment, Dr. Gershon was a professor in the Department of Sociomedical Sciences at Columbia University’s Mailman School of Public Health, with a joint appointment in the School of Nursing. She also served as the Associate Dean for research and the director of the Mailman School of Public Health’s mentoring program. Trained as an interdisciplinary public health scientist at Johns Hopkins University Bloomberg School of Public Health, Dr. Gershon brings methodologic expertise to this project. Her research focus in the last decade has been in the field of disaster science. Perhaps an even more important role that she will play is as an advocate for graduate student motivation and persistence in a research science trajectory. She has advised over four dozen graduate students over the course of her professional career, as well as served on many committees and panels focused on graduate student education in the behavioral and biomedical sciences. She also developed and led a very successful junior faculty mentoring program, which included an intensive weekly science writing course. Elizabeth Ozer is professor of pediatrics and director of research and evaluation for the Office of Diversity and Outreach at UCSF. Dr. Ozer is an experienced and well-recognized health psychology research scientist whose work, grounded in social cognitive theory, has focused primarily on the health of adolescents, young adults, and women. 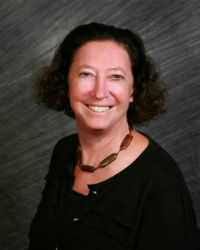 She has served as either principal investigator or co-investigator of multiple U.S. federally funded intervention studies focused on behavior change in adolescents and primary care providers, with a focus on decreasing adolescent risky behavior through improving the care provided by the health care system. She is also a licensed psychologist in the State of California. She has published extensively in the area of self-efficacy and behavior change outcomes, and is experienced in implementing and evaluating interventions, construct development and psychometric analysis, making her well suited to serve as theoretical expert on the BRIDGE project in her role as Co-PI. 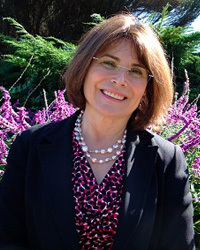 Dr. Ozer is committed to advancing the careers of women and minorities, serving as faculty chair of the Committee on the Status of Women, vice chair of the University of California System-wide Committee on the Status of Women, a member of the UCSF Council on Faculty Life, and as a UCSF representative on the system-wide NSF funded ADVANCE PAID program, with the goal of increasing the number of women and minorities in the STEM field. She was the 2013 recipient of the Chancellor's Award for Advancing Women. 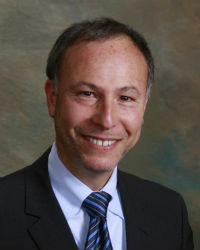 Dr. Feldman is a professor of medicine and associate vice provost of Faculty Mentoring and the co-director of the Mentor Development Program of the Clinical and Translational Science Institute (CTSI) at the University of California, San Francisco. As the director of the Faculty Mentoring Program, Dr. Feldman works to support faculty career satisfaction and success, recruitment and retention of the highest quality faculty, and an increase in faculty diversity through improved mentoring of underrepresented faculty. Dr. Feldman has been actively exploring and writing about mentoring for the last several years. He is currently studying cross-national perspectives of mentoring as a visiting professor at the School of Public Health and School of Medicine at Kyoto University in Japan. Dr. Feldman implemented an innovative new faculty mentoring toolkit to describe the UCSF mentoring program and the roles and responsibilities of mentors and mentees. The toolkit provides a number of resources to help facilitate the management of the mentor/mentee relationships. Dr. Estrada's area of expertise is social influence, including the study of identity, intergroup relations, and integrative education. Currently she is research faculty at UCSF. A common characteristic of Dr. Estrada’s academic work is designing and empirically testing interventions that can change individual behavior, social norms, and community consciousness. To this end, Dr. Estrada is conducting a National Institutes of Health longitudinal, theory-driven evaluation of the Research Initiative for Scientific Enhancement (RISE) program with over 1400 participants from 50 collaborating campuses across the country. Having led several important studies on this topic, Dr. Estrada is a recognized and well respected leader in the field of disparities research. As the BRIDGE Project behavioral scientist and diversity expert, Dr. Estrada will play a critical role in this study by advising the team on all aspects of the survey development, assisting them in directing the analyses, and providing key feedback on the development of interventions. Ms. Nwankwo is a project coordinator in the Phillip R. Lee Institute for Health Policy Studies at the UCSF School of Medicine. After completing her undergraduate coursework in health education at San Francisco State University, MS. Nwankwo went on to complete her master’s degree in public health at University of Michigan. While there, her primary focus was on gaining a critical understanding of the ways behavioral, environmental, structural and cultural factors influence the health outcomes of marginalized groups and communities of color. As a graduate research assistant (GRA), Ms. Nwankwo explored the use of mobile devices as a potential means of reducing racial disparities in chronic disease management and also worked to examine how chronic diseases influence African American men’s conceptions of masculinity. Ms. Nwankwo aspires to translate research into effective, innovative, socially relevant and culturally competent health programs for marginalized communities. Ms. Zhi is an assistant specialist in the Phillip R. Lee Institute for Health Policy Studies at the UCSF School of Medicine. She graduated from UCLA with a master of public health, specializing in epidemiology. Prior to UCSF, she works as a spatial data analyst at the San Francisco City, Department of Public Health, HIV/AIDS Surveillance Program. As a junior researcher, her interests lie in HIV/AIDS, infectious disease, public health surveillance, home health care safety, occupational health and disaster preparedness and responses. 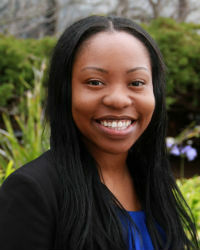 Ms. Gregory is currently a PhD student in the UCSF School of Nursing. 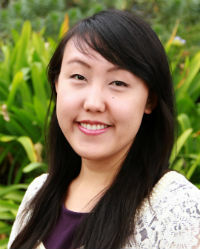 The focus of her dissertation research is to better understand the personal experiences, factors, and perspectives of underrepresented minority (URM) students in graduate nursing programs on the impact and contributions of mentoring on their academic success, social integration, and psychosocial well-being. 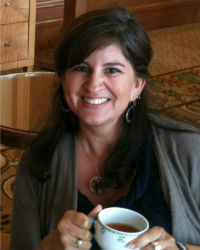 Prior to her return to graduate school, Ms. Gregory was the Program Director of the Coalition for Nursing Careers in California. In this role, she was able to introduce health care as a profession to tomorrow’s workforce. 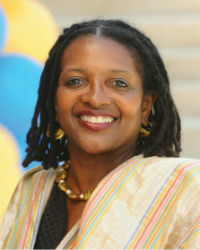 As a future nurse academician and scientist, Ms. Gregory’s scholarly work will inform and facilitate the development, evaluation and coordination of best-practice mentoring programs, support and translate evidenced-based research to create inclusive campus environments and promote early identification of symptoms of mental illness such as anxiety, depression and potential substance abuse in URM populations.